Organizing for Back to School! It is that time again, BACK TO SCHOOL! My son doesn’t actually start back until the sixth, so we are just starting our transition to thoughts of backpacks, school supplies and lunchboxes. And of course, the inevitable need for renewed efforts on our organization. 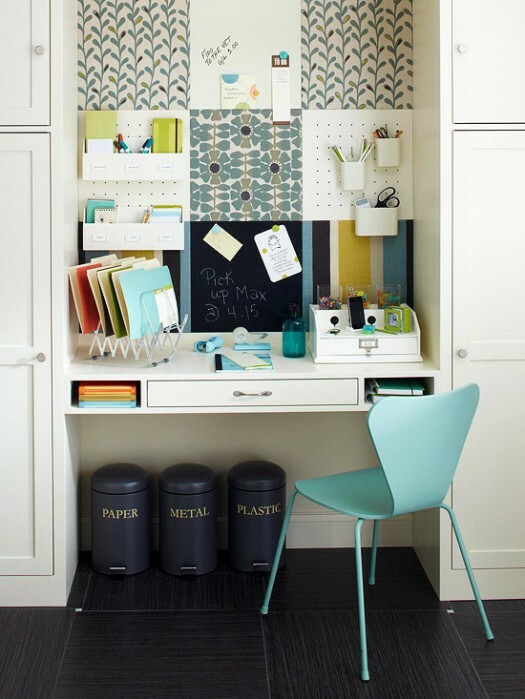 I love that this command center has a mixture of cork, dry-erase, chalkboard, pegboard and magnetic surfaces. It packs a lot of function and personality into a relatively small space on the wall. I like it. Are you excited about “back to school” routines around your house? We’re still enjoying our summer sun and lazy morning schedule! PS. Here are the winners’ comments for the last two giveaways on The Inspired Room. Winners have all been contacted! Thanks for entering! Comment: Amy in PA says I’d certainly pick some cool things for our family room which is pending an update – perhaps that weathervane or one of the cool signs! Glad to hear your daughter is better!! Comment: KO says I love the Phil 4:13 from Urban Soul. So happy your daughter is on the mend. God is faithful! Comment: Crystal says This is so exciting! I would use the money to create two beaded lanterns for my new apartment, and I’d also buy fabric to make curtains. Woohoo! O ften I have talked about walls being the backdrop to a room and letting the furniture and accessories be the main event. Yet, sometimes the backdrop sets the stage and almost steals the show. I happened to run across a few rooms that had simple but effective backdrops that caught my attention and really gave the room a big punch of personality. The first one was the bedroom, above, with the bright blue textured walls. The deep saturated color really pops against the white and contrasts with the black furniture. The room is very memorable thanks to that wall color! Then I saw this image from House Beautiful and I loved the seagrass backdrop to the bar area of the living room. The wallpaper backdrop really sets that area apart as a special destination! 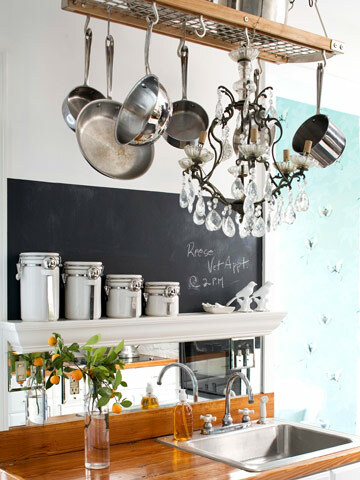 This chalkboard behind the kitchen counter is a great backdrop for a family kitchen. Practical doesn’t have to be boring! The use of a chalkboard wall as a backdrop definitely gives this room a comfortable homey feeling! 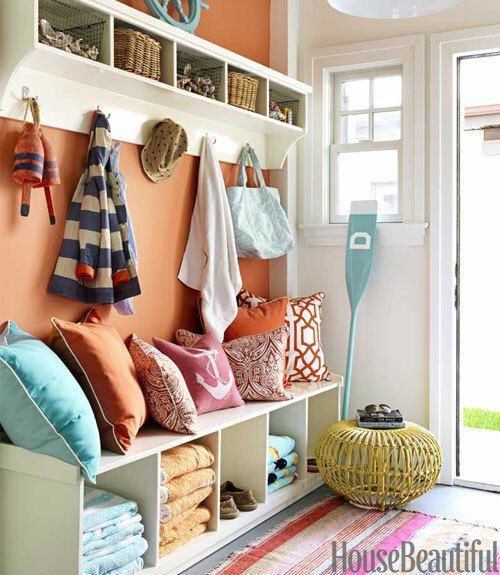 I also did a double take on the orange wall in this room — it is a striking backdrop to the entry shelves and hooks. I’m not usually into accent walls (painting just one wall a color), but this is definitely one that works to give this wall warmth, personality and sets it apart as the hardworking wall that it is! Instead of this wall being a strictly background utilitarian space, the bold orange wall gives it loads of personality all its own. Walls can be quietly supportive in the background of a room or they can be a creative opportunity to be a vital part of the overall design. Don’t be afraid to let your backdrop steal the show!